I’m going to call out the elephant in the room. 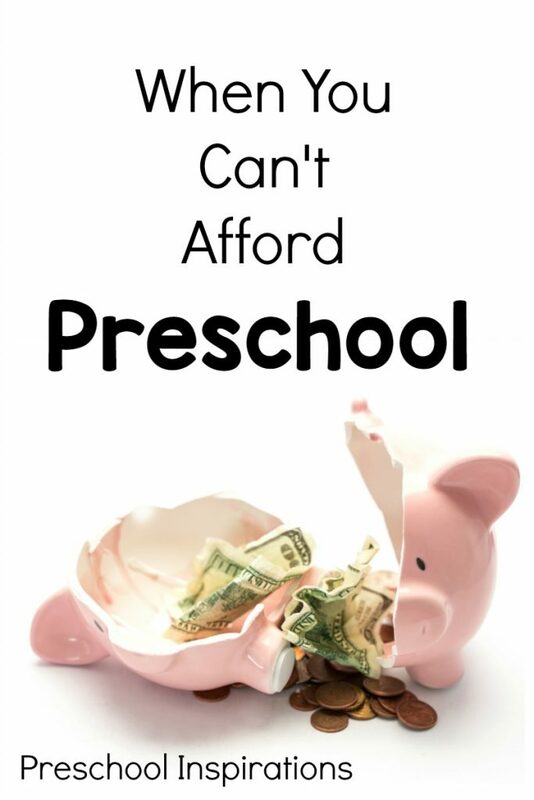 It’s nearly taboo to talk about what to do when you can’t afford preschool. What a sinking feeling that is, yet so many parents experience this. I’ve been in these shoes even. After having several people privately ask me about the topic, I decided to break the silence. Preschool has not been at the front of your mind, but you just keep hearing about one over and over again. You have to see what it’s like and just take a tour! The moment you step foot into the front door, your dream of a perfect preschool quickly and magically transforms into a Cinderella story where dreams come true. The building is state of the art. The curriculum has a “kindergarten ready” guarantee, and the learning materials look as though they were curated from the nation’s best children’s museum. Immediately you think of how you can help this situation. Your mind races over the possibilities. You can squeeze it in, right?! You’ll stop buying so many coffees. You can eat in more instead of grabbing delivery. Gas prices are down! The Director gladly stretches forward the enrollment packet and gives you the official invitation to join their prestigious preschool family. You feel like Charlie when he won the golden ticket from Charlie and the Chocolate Factory. Then you remember that suppressed feeling. Anxiety pops up, all swirled in your roller coaster of excitement. Instantly, the room temperature feels 10 degrees hotter. You begin thumbing through the paperwork. Enrollment fee. Deposit. Activity fee. Curriculum fee. Dollar signs are popping off the page! But how much should you sacrifice for preschool? Should you go into debt to send your child to preschool? While it is nearly devastating when you can’t afford preschool, there are options to consider. I know. It won’t have the state of the art playground. The teacher’s don’t all have a Master’s degree. There probably won’t be a security camera either. It might even be in a home or a church. For the record, some of my favorite programs are in homes and churches. The beauty though is that there are amazing teachers all over the world. Children can be given incredible opportunities in many settings. There is not just one perfect preschool. Finding an amazing and affordable preschool may take some searching, but they are around. If you live in the U.S., you can see if you are eligible for Head Start, a free preschool program. It is a limited program, but it is certainly worth looking into. As long as you keep saying to yourself that preschool is not an option because it costs too much, this will eat you alive! Every time you hear a mom say the word “preschool,” it will be a dagger to your heart. When you go out with your friends who have the ability to send their child to this prestigious preschool, each mention of it will instantly send you through the entire pendulum of emotions again. You will feel that you have failed your child. You haven’t! This is preschool. Preschool is about playing. Engage with your child, love your child fiercely, and savor this time. Grab a good book and snuggle up tight. Use puppets and talk about your child’s day together. Build a sand castle at the park. Drown out that guilt in an ocean of love! So say there is no room at all in the budget for preschool. Use that as your ticket to enjoy being your child’s preschool teacher. 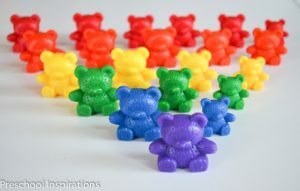 Follow amazing ideas on my themed pinterest boards. I pin ideas from some of the best teachers in the world who share their activities with you all. We now live in a day and age where we can spy on some of the most creative minds. We don’t have to concoct amazing ideas. We can just follow the instructions. Or do a combination of both of course. Find topics your child loves and search pinterest for them. And don’t go telling everyone you can’t afford preschool. Own your decision to do preschool at home! Love it and enjoy it, and make sure to go on field trips to the library. Maybe you can even sneak a coffee in at the drive through on the way home. There is life after the realization that you can’t afford preschool. In fact, it can be amazing and incredibly rewarding. Preschool Readiness — It’s not what you think! 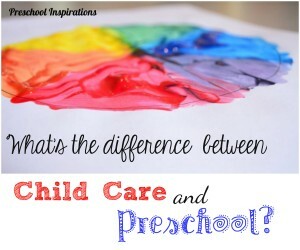 What’s the Difference Between Child Care and Preschool? Thank you for this post, so good to hear! We are just looking at preschools for our 2.5 yr old, with the expectation that she will start next fall, just after her 3rd b-day. I am so intimidated in looking at all the options, even before we start looking at prices! Many friends with same age kids already have their kids in school. I work from home part time and am SO grateful for this time with our daughter but feel like I am not providing all that a classroom setting would. We go to the library 1-2 times a week to check out new books and to enjoy the programs they provide which are awesome! 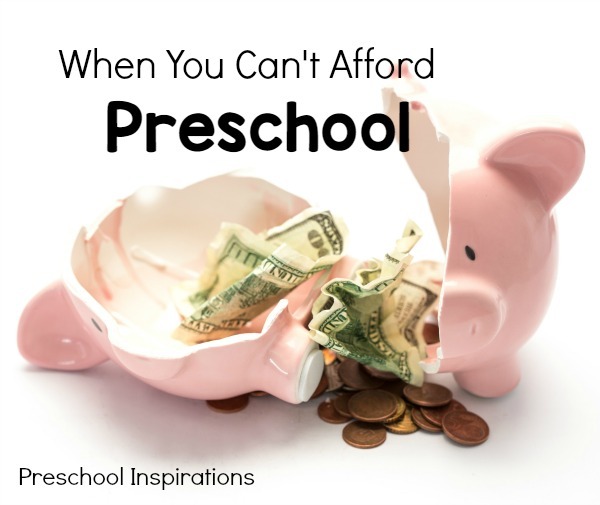 I hope to find a school that our daughter enjoys that we can afford but I truly appreciate the advice and perspective if it turns out that we can’t afford preschool. Thanks! I can tell already that you all will be able to give your daughter the very best :). Best wishes to you all!! Thank you so much for this!!! You just described my day and I could not describe it more perfectly! This is exactly how I felt when we visited the perfect preschool this morning (its even close to home). And hearing that ridiculous over the top price was soooo depressing. Even more so since we live in the Dominican Republic which is supposed to be cheap! Anyway, now I am considering how I can create a nice homemade preschool curriculum for my son. Not easy bit I know he will be happier yo do it at home. Thanks again for taking away the mommy gilt with your wise words!